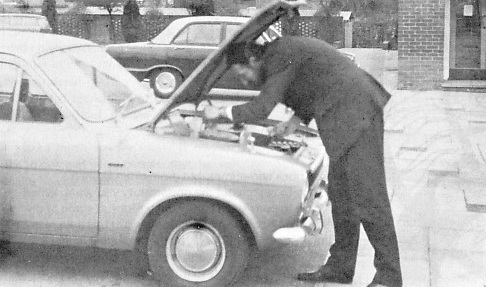 In addition to brief biography, we also include the article from the Farnhamian on the bomb scare incident of 1973/74. John McLaughlin was born in Brighton in March 1935. He attended Brighton, Hove and Sussex Grammar School from 1946 until 1954 and has many very happy memories of those years. From there he went to Hertford College, Oxford to read History from 1954 until 1957. The following year he studied for an Education Diploma. In 1959 he began his teaching career at a boys’ grammar school in Essex. From there he moved in 1962 to a very large comprehensive school in Coventry and broadened his teaching experience considerably. He arrived in Surrey in 1965 as Head of History at Oxted County School. In his seven years there the school expanded greatly and changed significantly from grammar to bilateral to being fully comprehensive. When he left he presided over a large Humanities Department. 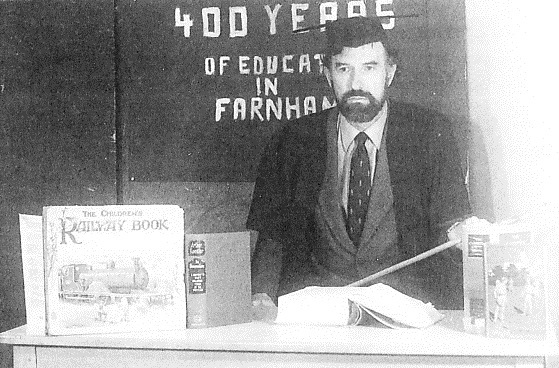 Farnham Grammar School saw his arrival in January 1972 as Deputy Head and he had five terms in that role before the College opened in September 1973. John admits that what attracted him to the post was the prospect of the creation of an open access Sixth Form College and consequently has always harboured a tiny feeling of guilt with regard to the Old Farnhamians’ Association. In his twenty-one years at Morley Road as Deputy Head/Vice Principal, although his main role was administrative, dealing with all aspects of the internal organisation of the institution and with the interviewing of prospective students, he always ensured that he stayed in the classroom for a third of his time. Apart from History he taught a range of General Studies, also Media Studies and Sociology with memories of teaching Geography in his early Grammar School days. Some of the many highlights of those years that stand out in his memory include the Great Fete of 1978, which celebrated 400 years of continuous secondary education in Farnham and the transport of six packed coaches of enthusiastic student supporters to the English Colleges’ Football Cup Final at Barnsley, which Farnham won 1-0. John thoroughly enjoyed his working life, but to his surprise, retirement has proved even better. He has continued to travel very widely, often with the Historical Association. For some years he has participated closely in an equine support group. Locally he is involved in charity work and the U3A, where he has lectured, and plays table tennis. He is the travel scribe for the William Cobbett Society. Bridge takes care of at least one afternoon a week and the theatre, cinema and London galleries are a constant lure for him. 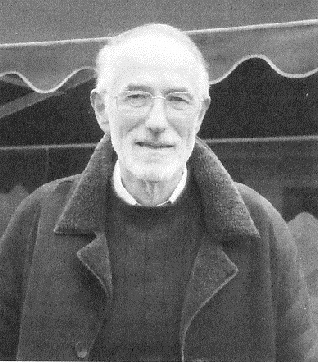 Since 1997 he has been a Trustee of Farnham College, having been persuaded to join by the late Alan Smallman from whom he took over as chairman in 1999. He is also a member of the Farnhamian 400 Trust Committee and helps greatly with the link between the College and the Old Boys. Gardening, cooking and walking are the therapies that keep him sane, but his compulsion to buy books is hard to overcome. John McLaughlin, who in his own words looks “semi senile and geriatric”. One of the funniest “spoofs” from the Farnhamian appeared in the 1974 issue which can be read in full here. Once again Farnhamian reporters were on the spot. This amazing photograph taken earlier that morning shows the culprit red handed, secretly planting the explosive device. Any information concerning this man would be gratefully received by the authorities. About 6 ft 2 in tall, well built with a thick beard and a small office near room G, the man has a price on his head, being wanted not only for terrorist activities but also for wasting loud hailer batteries, and for making the field muddy. Be careful, this man may be armed.